With the Trump administration's recognition of Israel's annexation of the Golan Heights, in defiance of its UN status as occupied territory, the Netanyahu government is encouraged to move ahead with its intentions of annexing portions of the West Bank it now occupies. The U.S. has already moved its embassy to Jerusalem as endorsement of Israel's policies. 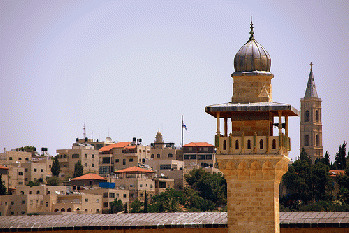 A first step would be to incorporate East and West Jerusalem. It has been suggested that this could be initiated by renaming the city Jewrusalem.